For a long time, I have been saying to whomever might listen that my fantasy is to live in a zero-carbon home, a home that is so energy efficient that it doesn’t put carbon into the atmosphere through burning fossil fuels, or use energy that is based on fossil fuels. There is more to it than that, but ultimately, I am hoping for a way to live more in harmony with the whole of the living earth, to live as if our human future holds life-sustaining possibilities. So, my partner and I have started on a new adventure toward this greener living. We have decided to downsize from our current home, and look for a smaller home that could be retrofitted to approach zero-carbon efficiency. It is an adventure full of anxieties and tensions, so I decided to create a blog journal as we go. I want to remind myself of the core values involved in this transition, and the grace and magic available to us when we take steps toward our deepest earth connection. It is also a way to honor the challenges we face as we seek to create change. 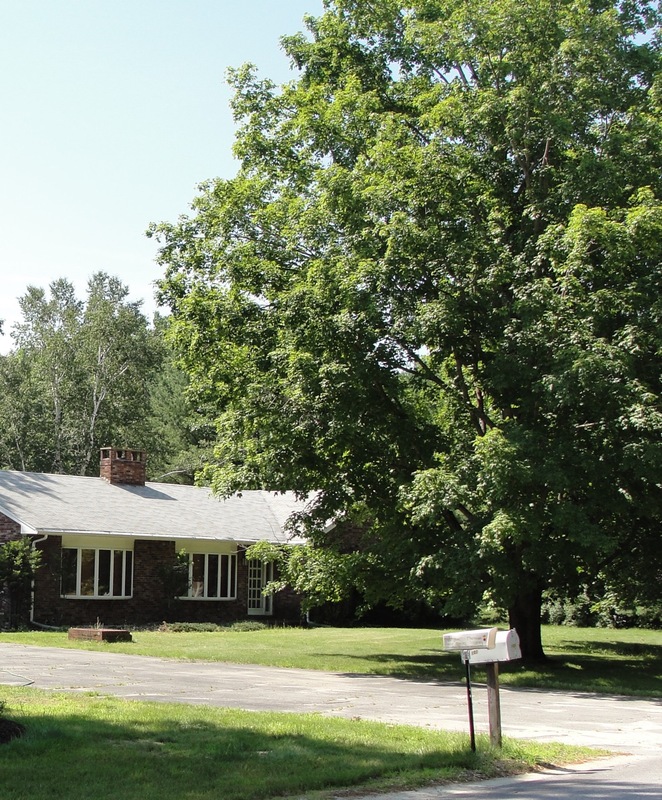 There are so many things we love about our current home–it is a well-built ranch-style house on one acre of land full of grand mature trees–large maples in the front yard, and tall oaks, pines, hemlocks, spruce, and birches in the back yard. We have such privacy and beauty around us when we go outside, and this place has been a teacher for my journey into deeper connection with the earth. There are birds and chipmunks and other critters who wander through. The house is full of light. So why leave? For one reason, there are limits to what can be done with this house toward greater sustainability. It doesn’t have the right alignment for solar power, for example. Secondly, it is out in the country/suburbs, and totally dependent on automobile transportation for every human need. So even if the house could be made more efficient, the location is oil-dependent. Thirdly, and perhaps most basically, it is more house and land than we really need, and expensive for us to maintain and take care of. We couldn’t afford to do much more than we have already done toward greener living in this house. And as we look toward the possibility of future retirement, we realize we couldn’t afford to stay here at all on a retirement income. One essential part of this process of change is the grief that emerges when we contemplate letting go of a home we have loved, and these trees that are older than we are. When we open our hearts to the land, we open our hearts to the particularity of a place. This unique place. I have taken hundreds of walks down this road, taken photos of these trees in all seasons, walked to the conservation land and the water district land just half a mile away. I’ve cross-country skied back behind the yards and houses through little paths in woods out to hidden fields. I know where the lady slippers bloom in the spring. We’ve planted flowers and bushes and young trees here, along with blueberries and raspberries. Can a part of the magic of this change create protection for this land we have nurtured? Only if some new resident falls in love as we fell in love when we arrived here. Maybe someone with more resources could even take this place further on its own path to sustainability. In the meantime, we keep our hands in the soil and our hearts open. We gather this season’s raspberries and keep going outside. Perhaps our love for this land is a part of the magic of this journey. This entry was posted in Awake to Earth, Awake to Mystery and tagged #searchforgreenerhousing, Earth, Ecology, Green Living, Magic, Spirituality, Tree, Zero Carbon Homes. Bookmark the permalink.